Scare Up Some Sweets At Proctor Treats With Tacoma Library! This Halloween, put your children in their costumes and have them come haunt the historic Proctor District for Proctor Treats. 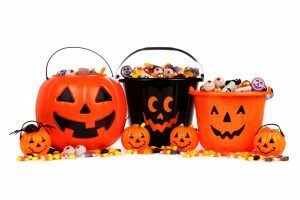 Between 4 PM and 6 PM on Tuesday, October 31, kids can collect some fun treats and sweets (and maybe some tricks too) from the local businesses and organizations of the Proctor District, including staff from the Wheelock Branch of the Tacoma Public Library. For the safety of attendees, local streets will be closed on North 26th from Madison to Adams, and on Proctor from North 25th to North 28th. Streets will begin re-opening after 6 PM. Proctor Treats is a long-standing, annual event for children. It is organized and sponsored by the Proctor Business District. Hope to see you there!